Abseiling, Canyoning, Caving, Rock Climbing. 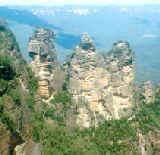 Blue Mountains, Sydney, Australia. 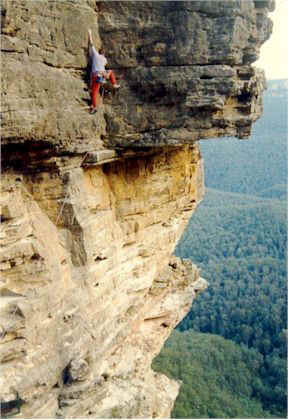 If it involves rocks and ropes, you'll find it here in the Blue Mountains region of NSW, near Sydney, Australia. Outdoor leisure, recreation & adventure activities. The Canyoning and Abseiling Specialists! Adventures & Training Courses in Abseiling  Bushwalking  Canyoning  Rockclimbing  Corporate Training  Technical Rope Skills. Your safety and well being is our priority! Ancient all-weather venue for day tours, rock climbing (50 metre cliffs), BBQ's, overnight camping, music. Big, sunny, dry, sandy floor, most modern conveniences. Easy 300m walk. Private Land = Total Privacy. Gateway to Jenolan All about Jenolan Caves. Hardiman, Charles Chazmos Canyons. Canyoning, Abseiling and Mountain Bike riding in the Blue Mountains. Mick's Rock Climbing Pages The name says it all. Noble, David Warren By David Noble #1. Canyoning, caving, canoeing, bushwalking. Noble, David (Wollemi) David Noble #2. Canyoning, caving, etc. Wollemi Pine. Sydney Speleological Society An underground society of caving enthusiasts. Wild Dogs Outdoor & adventure activities. High adventure in the Blue Mountains.